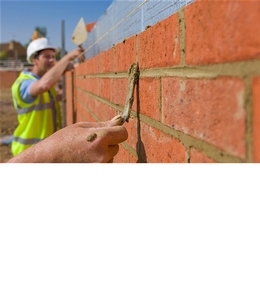 The Federation of Master Builders (FMB) has issued a statement suggesting that the Apprenticeship Levy is exacerbating the construction skills shortage and must be reformed urgently. This comes after the latest statistics published by the Department for Education showed that the number of new construction apprenticeship starts for January 2019 has fallen to 950 compared with 1,216 the previous year. In particular, the number of starts for Level 2 apprenticeships, that is equivalent to GCSE level, has dropped to 555 in January 2019 from 712 in January 2018. Brian Berry, Chief Executive of the FMB, said: “These latest statistics point to a serious failure of the Government’s Apprenticeship Levy. Their publication comes at a time when 64 per cent of construction firms are already struggling to hire carpenters and joiners, and 61 per cent are struggling to hire bricklayers. And Brexit has the potential to make an already challenging situation even worse, the trade body warned. Berry concluded: “Looking ahead, as part of its post-Brexit immigration proposals, Ministers want to close the door to Level 2 tradespeople by dubbing them ‘low skilled’ and preventing them from entering and working in the UK for more than 12 months at a time. It takes years to train quality tradespeople to become a Level 2 worker and even if we did have the time to train at this scale, there aren’t enough UK-born workers to go around as we are almost at full employment.